D’you wanna be in my gang? 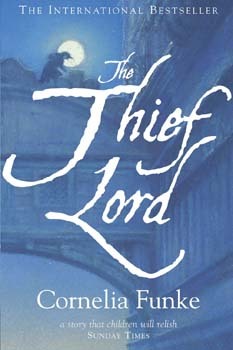 The Thief Lord (Chicken House, £6.99 PB) is a quirky adventure story set in the city of Venice. It presents the lives of a gang of children who live removed from the adult world. Their lives are sustained by the mysterious child the Thief Lord, but a private detective’s pursuit of two of the gang members throws everything into disarray. The story of The Thief Lord helps to explore the idea that heroes seldom act alone. Instead, they move in groups, pooling their different skills and characteristics, enabling them to fulfil challenges as a team. The Thief Lord offers an opportunity to explore this feature of adventure stories.